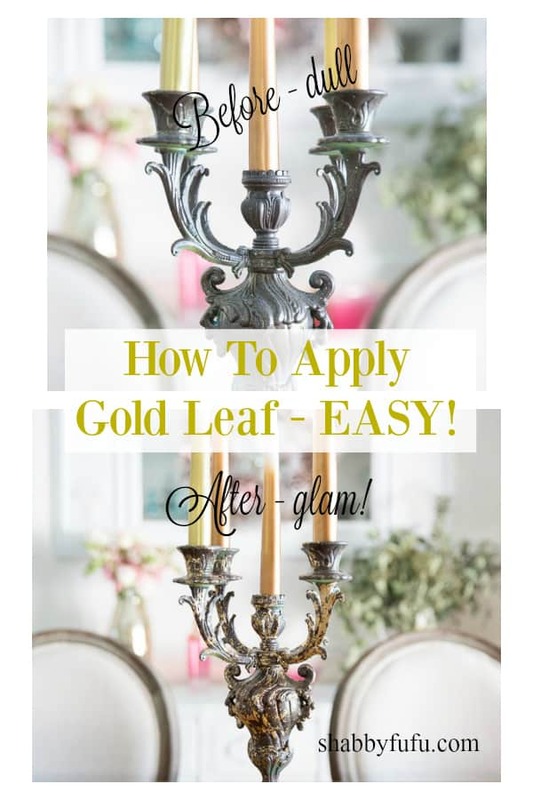 Gold leaf can be such a classy addition to your decor and today I’m sharing a quick how to apply gold leaf foil. 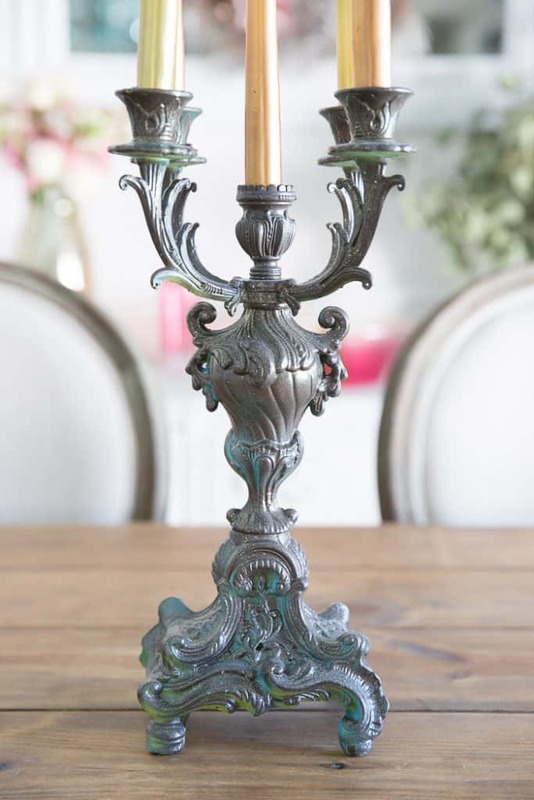 This thrift store candelabra has been given several treatments over the years. Oh yeah…I am thrifty and mix new and old to create high end looks without the cost. When you find something at a thrift store that you don’t spend much I think that you can feel justified in giving it many makeovers over its lifetime. 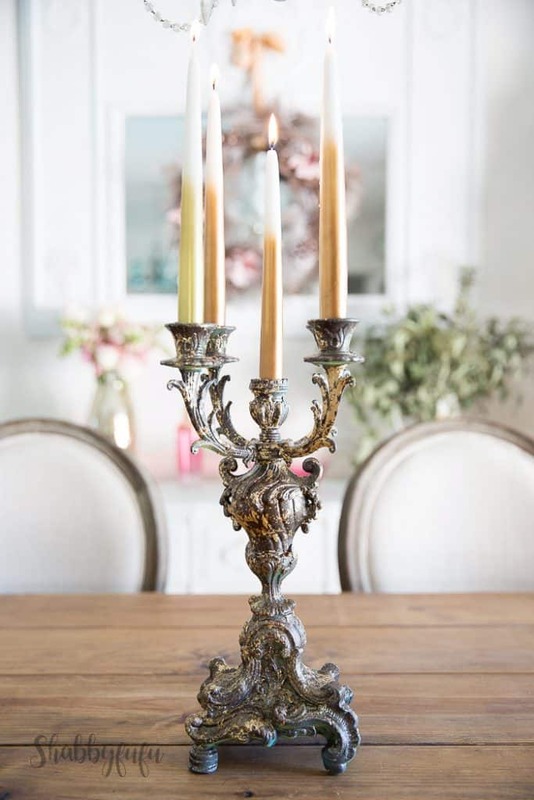 The candelabra was found some years ago with a blah and dull silver-esque metallic finish. I would thinks this to be from maybe mid-century and it’s a cast pot metal piece. I’ve painted it AQUA in this SUMMER POST from a couple of years ago and then at some point did a bronze tone over it. Never one to leave things alone for very long and working on my HOLIDAY decorating, I found my box of supplies that I haven’t used it awhile that had some GOLD LEAF paper inside. I’ve been feeling crafty and try and rework pieces from the past, as in this wreath that I’ll talk about in another post. 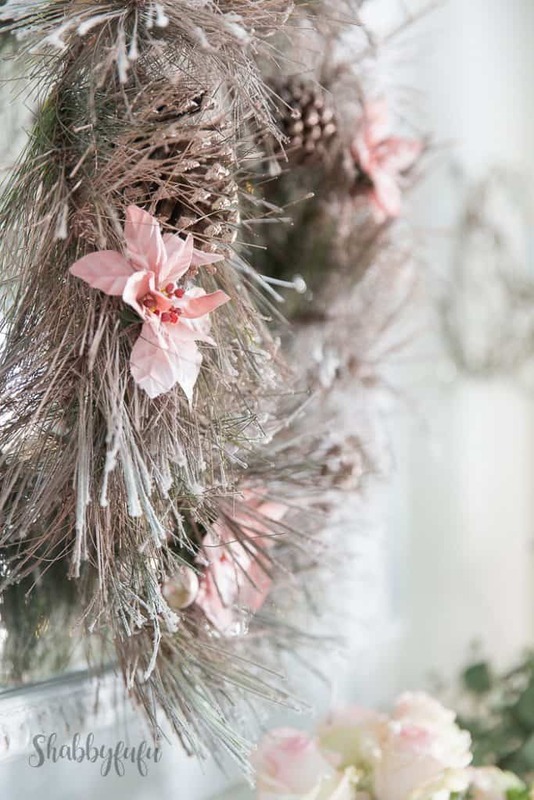 Last year I didn’t buy anything really for Christmas and shared a HOW TO DECORATE FOR CHRISTMAS ON A BUDGET post with a few tips for the DIY’ers. This is a simple but messy process, and fun to do! You can apply gold leaf to so many surfaces, such as metal, wood, and something that I’m going to try soon… apply gold leaf to canvas. This pack contains 100 sheets of GOLD LEAF plus 100 sheets of COPPER LEAF and 100 sheets of SILVER LEAF. At under $20 it’s a great price and you can work on projects galore. 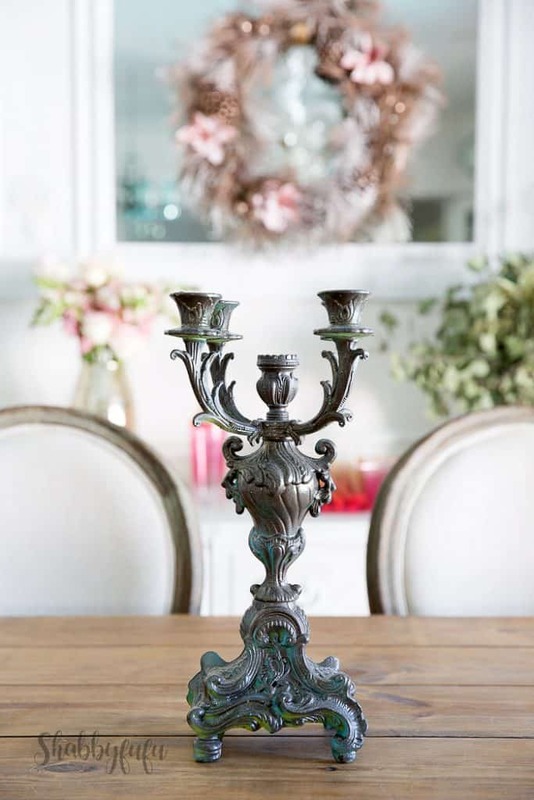 I think that the copper leaf would be so chic on one of these DIY light fixtures! You’ll need some MOD PODGE or good old school glue, and a soft brush. To apply gold leaf to metal piece, you first want to make sure that the surface is clean and free of dust. 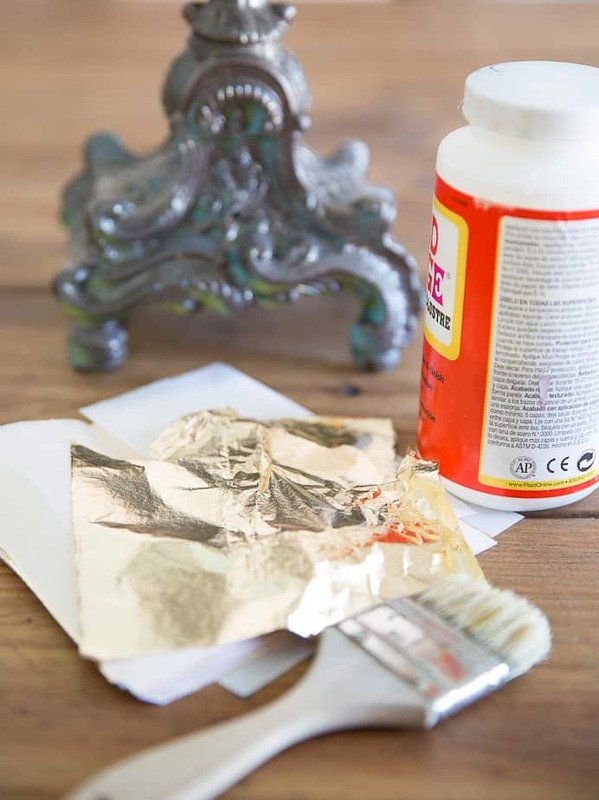 Take a soft bristle brush and give your piece a coat of Mod Podge where you’d like to apply the gold leaf sheets. You could substitute with slightly watered down white school glue. Letting the glue set until tacky and then carefully apply some of the GOLD LEAF. I didn’t want to cover the entire piece, but you could by laying on in several layers that overlap. 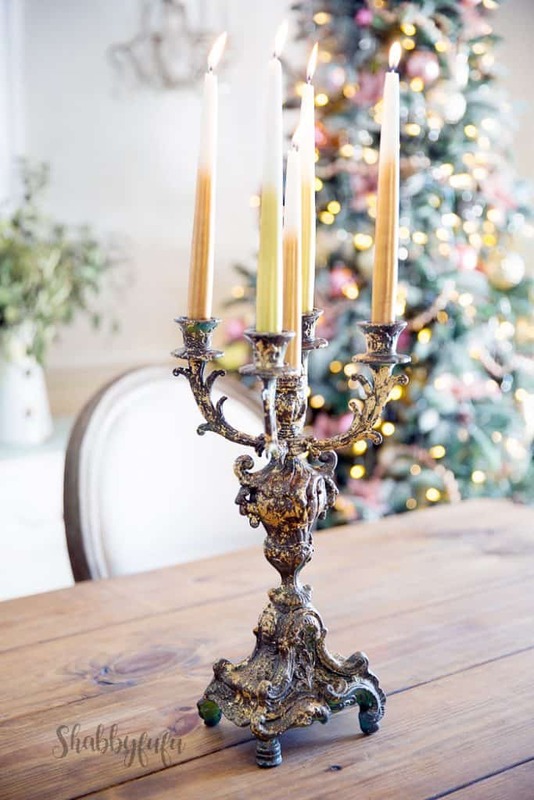 Let the GOLD LEAF dry for a little while and then rub it into the crevices with your fingers. Wear latex gloves to keep it off your hands if desired. When satisfied, spray on some clear sealer like this one. It has a whole new look, yet still maintains that VINTAGE appeal that led me to it in the THRIFT STORE in the first place. 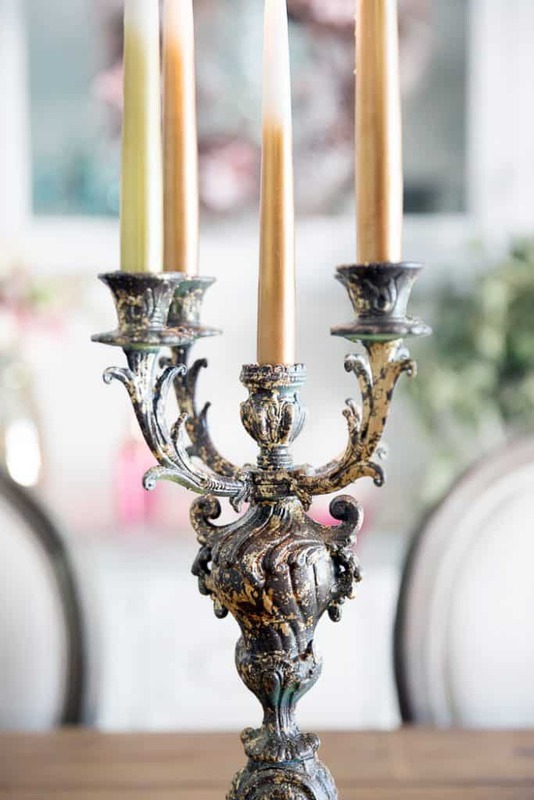 I have an ongoing LOVE affair with OMBRE and found these candles that are similar to mine. Glam upcycle…I hope that you give this a shot and let me know if you have any questions!